Distinguished musician, composer and band leader, Noel Kelehan spent most of his career working for RTE. He composed music for radio and television, conducted bands and orchestra for live and prerecorded television shows, including all Ireland's Eurovision entries from 1965 onwards, and his various bands were a constant presence on RTE television for many years. He also recorded jazz and had a special affection for the Miles Davis quintet of the fifties. Largely self taught as a composer and arranger, Kelehan received classical training in piano theory and harmony. In 1962 he played piano with jazz guitarist Louis Stewart and bassist Jimmy McKay. In 1964 he went to New York City to study further. He wrote such works as "Cuchulainn's Lament" for piano and orchestra, which was performed by the RTE Light Orchestra; and "Dubliners", a 3 movement suite premiered at the Festival of Light Music in Munich in 1967. 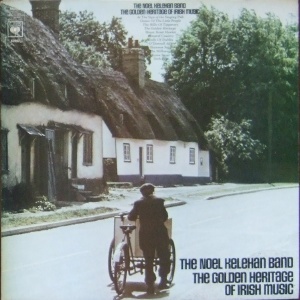 In 1971 the Noel Kelehan Band recorded an album of Irish traditional airs "brought up to date" called The Golden Heritage of Irish Music, released on CBS Records. It includes some Kelehan originals such as "Irish Blue" and "Shannon Song". In the late 70s he recorded an out-and-out jazz LP titled "Ozone". The is a marvelous album. It includes a quite beautiful version of Castle of Dromore. Along with Louis Stewart's "Louis the First" LP, "Ozone" is one of the rarest Irish jazz albums. Among his many soundtrack commissions are 'An t'Oileanach a d'Fhill' (1970), 'Speed Easy' (1970), 'Connemara And It's Ponies' (1971), and 'The Key' (1983). 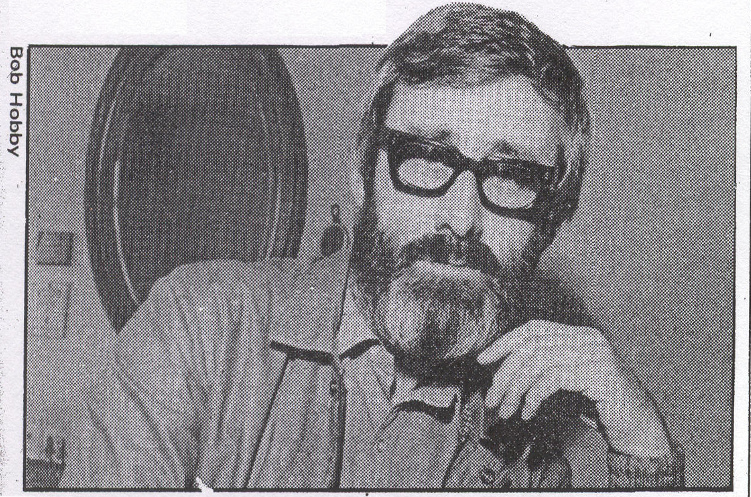 He also composed the music for the RTE TV series 'Bracken' (1982). Noel developed Alzheimers and is now in full time care. He can still play the piano, read music and change key at will. Notes: Recorded at Eamonn Andrews Studio. 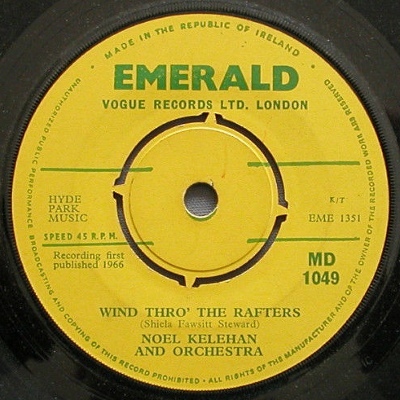 Arranged by Noel Kelehan, produced by Frank Murphy. The credits include a long list of instruments including trumpets (including Earl Gill), trombones, drums (John Wadham), percussion (Ian McGarry ex Bluesville), flutes, oboe, piccolo, cor anglais, saxes, clarinet, horn, bass (Martin Walsh), guitar (Bill Brady), accordion and piano (Noel Kelehan). Notes: Mike Nolan has worked in Canada and on the continent with Albert Mangelsdorff. Keith Donald was involved in Jump with Mike Nolan in the early seventies. John Wadham has performed with countless musicians, incluidng such names as Zoot Sims and Gerry Mulligan.